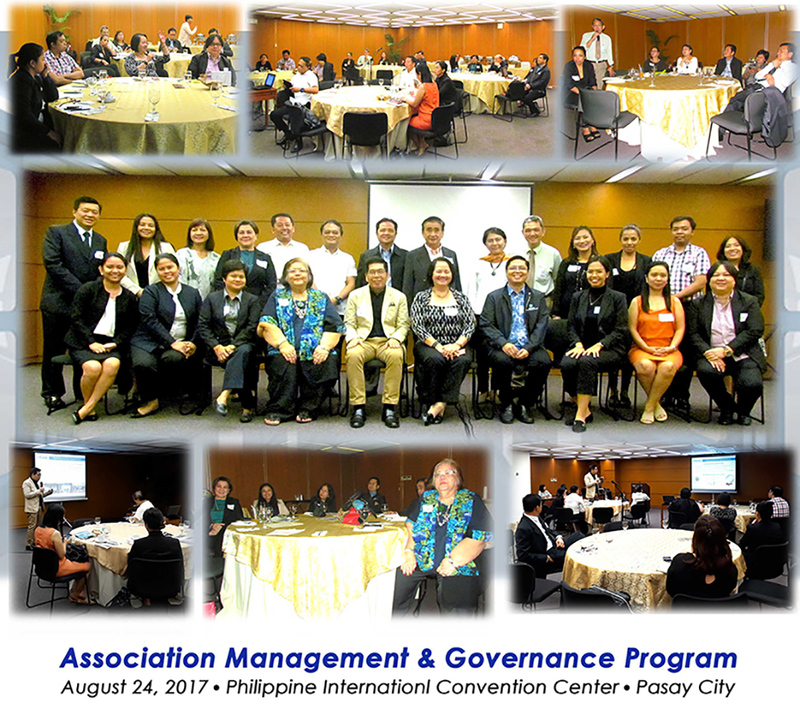 As part of its continuing certification program, the Philippine Council of Associations and Association Executives (PCAAE) conducted a one-day seminar on “Association Management and Governance” at the Philippine International Convention Center (PICC) last August 24, 2017 to help boost the skills of association executives in managing their organizations. Atty. Renato Padilla, PICC General Manager, welcomed the twenty- five (25) PCAAE member participants, who earned credits under PCAAE’s CPAE Program which was developed to further professionalize association governance and management in the country, The CPAE program offers excellent opportunities and growth for those already working or those considering to work in the association sector such as board members, management, staff and professionals. The morning and afternoon sessions covered relevant issues concerning association management and board governance. The morning session focused on Association Management and discussed following issues: the reasons for association’s failure, the attributes of remarkable associations, and the differentiating factors in association management. The afternoon session covered governance principles and practices where it tackled the whole aspect of association governance, including association governance models, the role of trustees or governing boards, benefits of good association governance, pillars of good governance, governance stakeholders, fiduciary responsibilities and duties of the board, common board shortcomings, board structures (officers and committees), practices, as well as legal and regulatory aspects. The resource speaker of the event was PCAAE CEO & Founder and ADFIAP Secretary General, Mr. Octavio B . Peralta. For more details about event, PCAAE and CPAE, please email Mr. Enrique Florencio at [email protected].